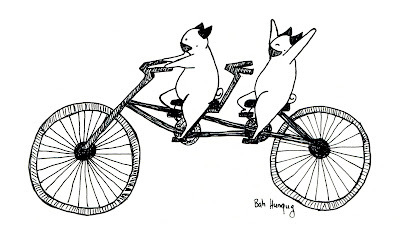 These cyclipugs are enjoying their tandem bike, but (tsk, tsk) they're not wearing bike helmets! I thought of this drawing during my long run on Saturday. I see a ton of cyclists on the trails and most of them are high speed. 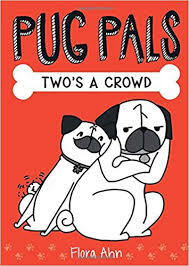 Of course I knew pugs wouldn't be like that - I think of pugs more as leisurely cyclists, on tandem bikes, unicycles (I have seen a unicyclist on a trail once! 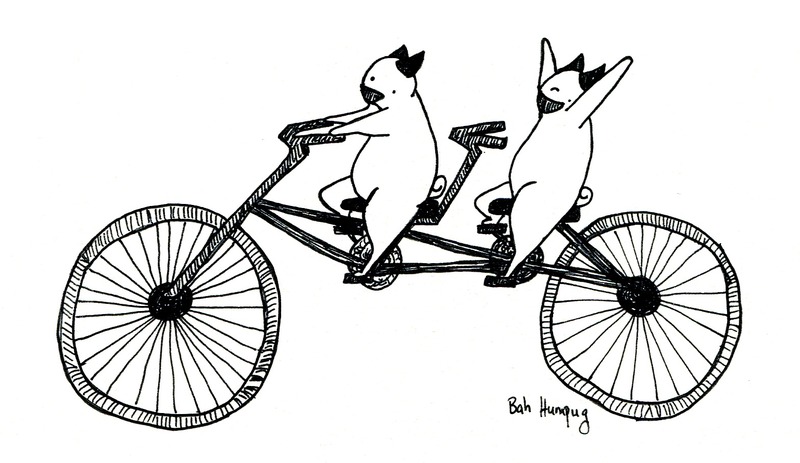 ), or those old school early 20th century tall bikes. Maybe more cyclipug drawings will follow soon! Haha true true! 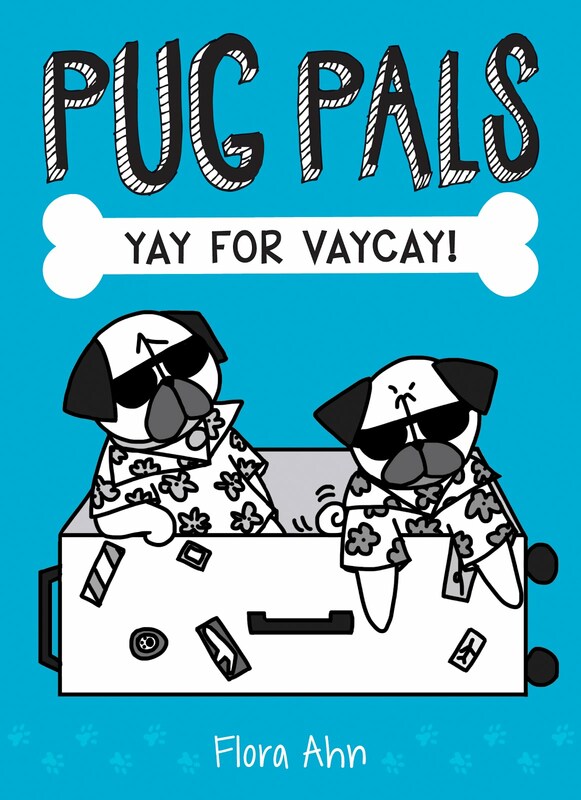 Yes, that would be true pug-style bicycling!